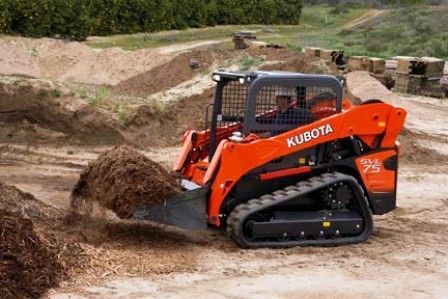 The Kubota Self Leveling Loader SVL75-2 Skid Steer comes with all the power and versatility you'll need. 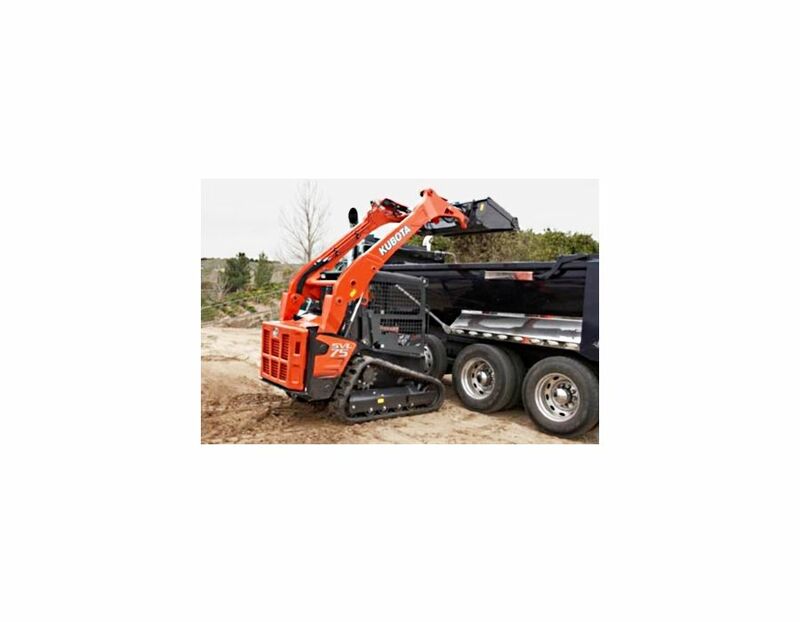 The large operator area, powerful breakout force and lifting capacity, and superior stability take performance to a new level. 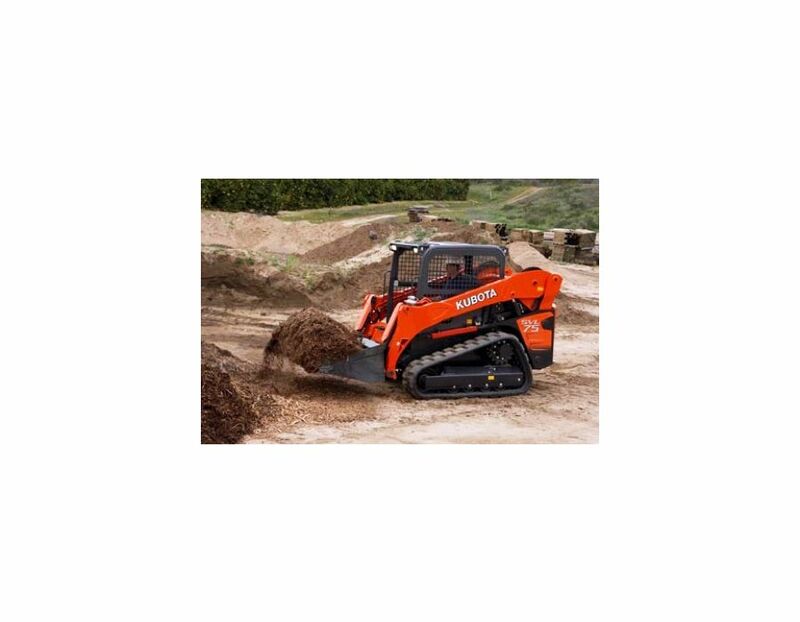 The vertical lift path of the loader arms provides longer reach when dumping at full lift height. 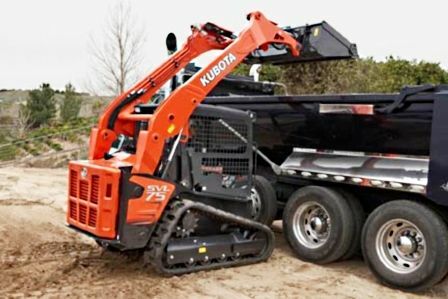 It also prevents you from repositioning when raising the loader close to a truck. 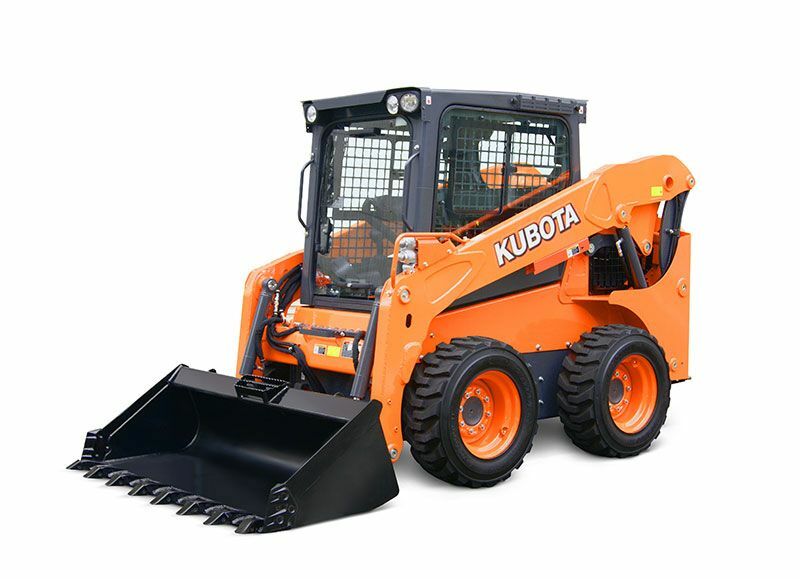 During lifting only, the loader bucket stays horizontal automatically. 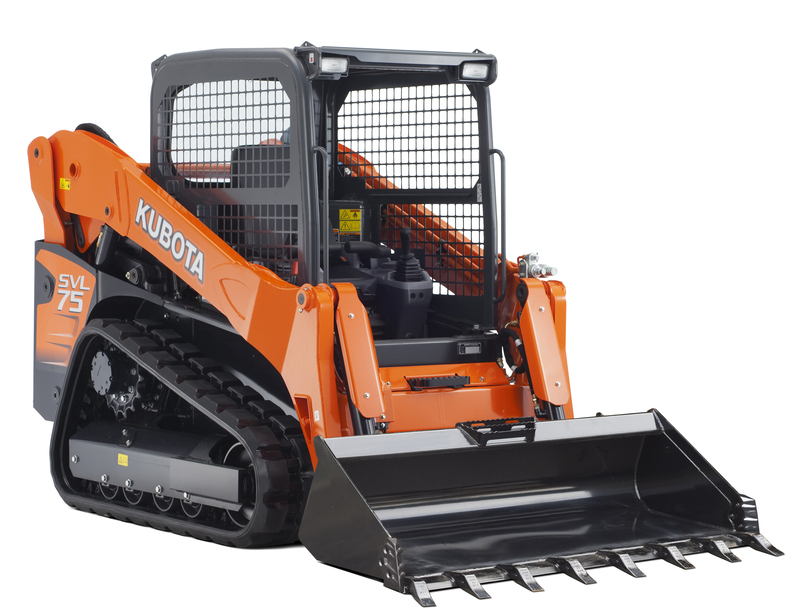 The 15" wide rubber tracks have a unique lug pattern and rubber compound, making for superior traction and track life. 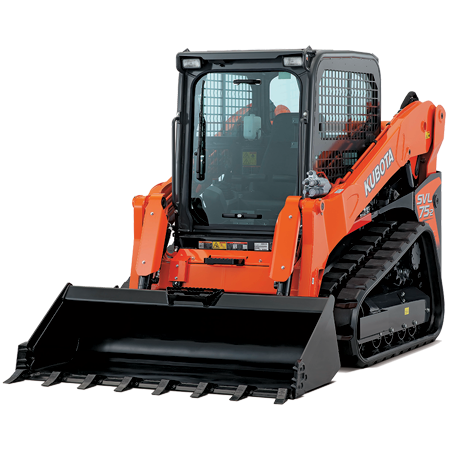 With a lift capacity of 4881 lbs, breakout force of 6204 lbs, and auxiliary flow of 18.8gpm this skid steer can do it all. CRS & DPF - The Common Rail System (CRS) electronically controls the fuel injection timing and amount in stages rather than all at once for optimal combustion. The results are great efficiency, better fuel economy and less engine noise. Its combination with the Exhaust Gas Recirculation (EGR) and Diesel Particulate Filter (DPF)Muffler reduces emissions to make the SVL75-2 Tier IV compliant/ SVL90-2 Interim Tier 4 compliant. 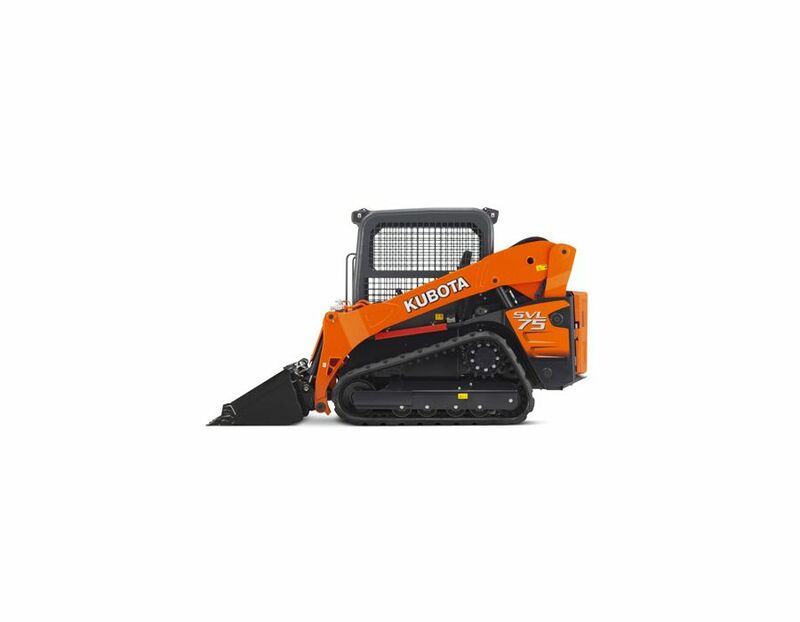 Electronic travel torque management - lets you work faster with more power. 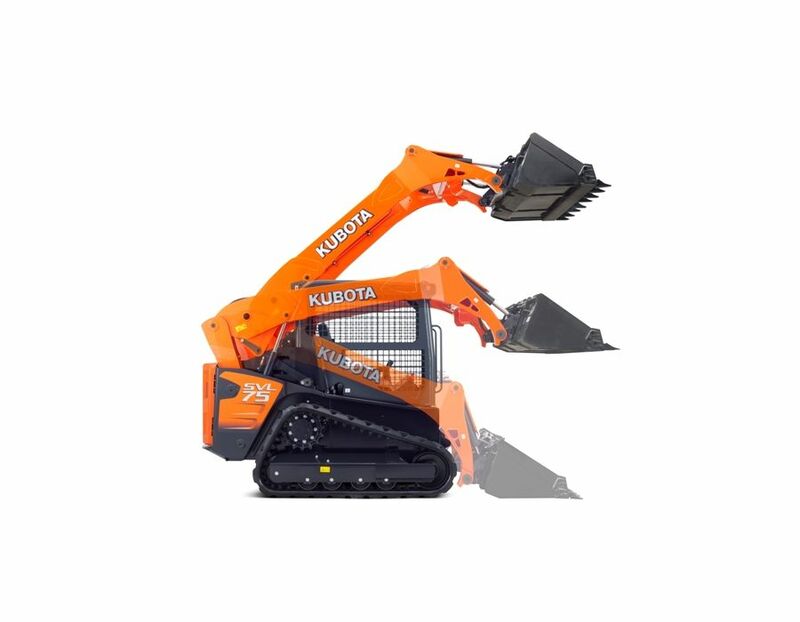 The ECU constantly monitors the load of the machine to optimally control hydraulic pump output according to the load, preventing engine stalls for smoother operation even under severe conditions. Auto regeneration - burns accumulated particulate matter (soot) in the DPF muffler to keep the muffler clean for longer operation. 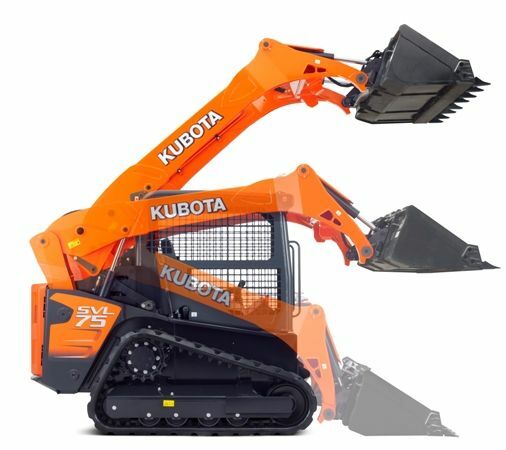 For safety reasons, automatic regeneration can be turned off with the inhibit switch when the excavator is operating in areas that are close to material with potential for ignition. Vertical Lift Path - provides longer reach when dumping at full lift height. 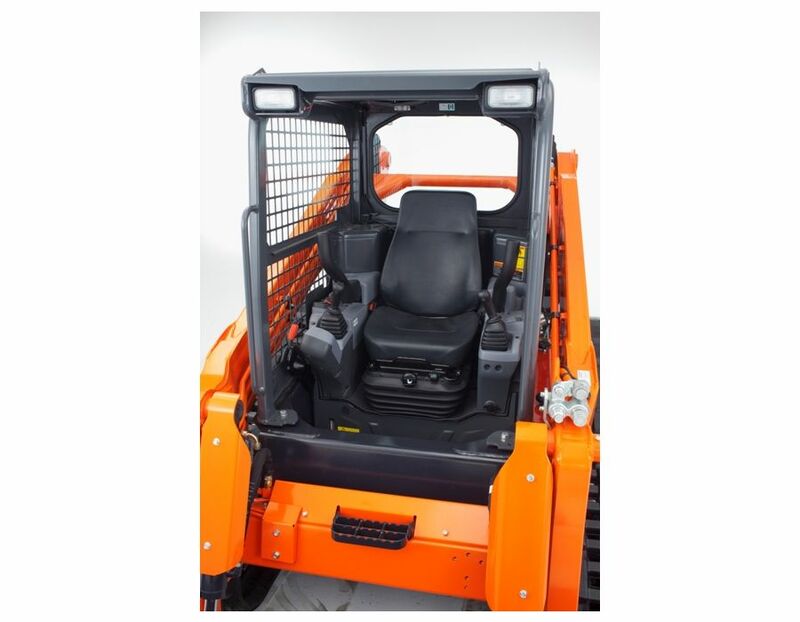 It also prevents you from repositioning when raising the loader close to a truck. 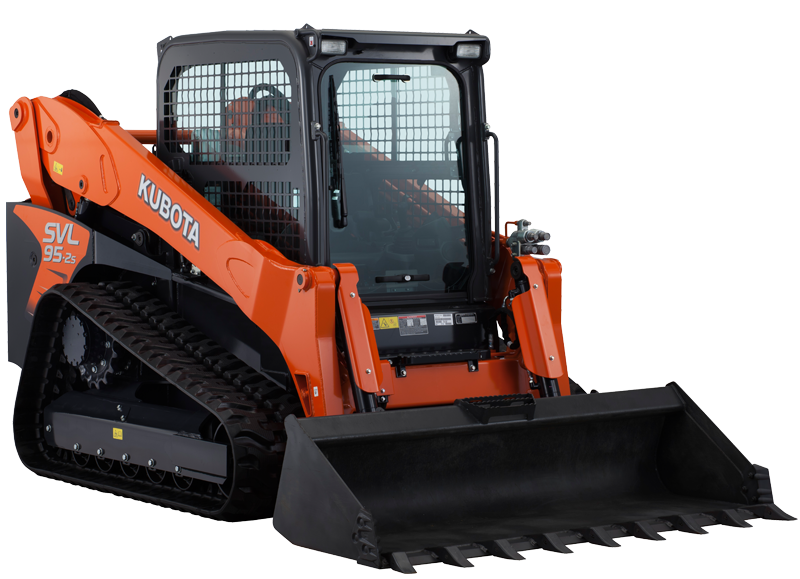 Visability - Important sight lines are all visible, including the edge of the bucket. Engine Stall Guard - The anti stall feature prevents engine stalling when forward movement is under resistance. 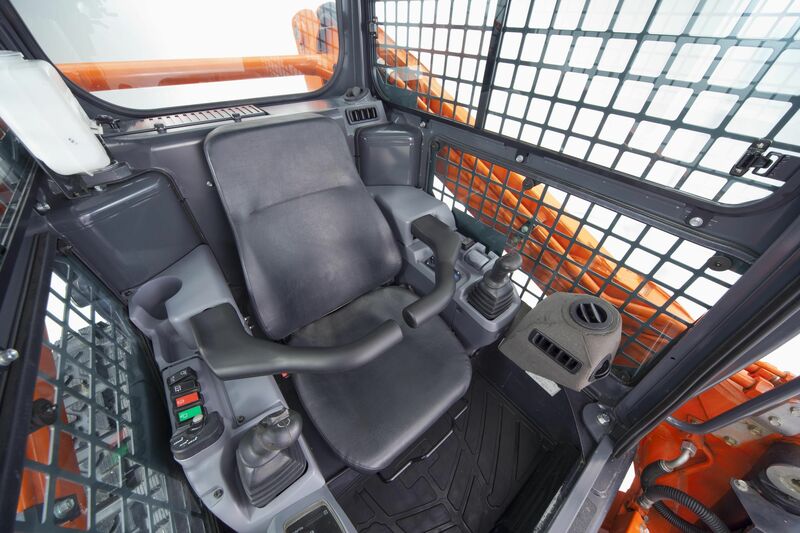 Tilt Up Cab - The full tilt up cab allows for easy access to hydraulics, valves and lines. 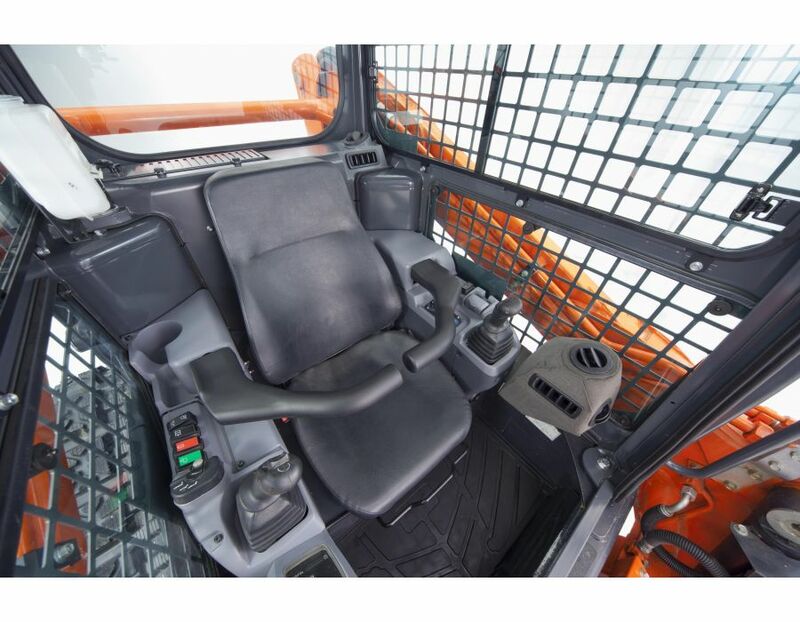 Loader Float Function - When back-grading, just push the right joystick forward, flick the switch, and release the joystick. The float function is activated until you pull the joystick or hit the switch. 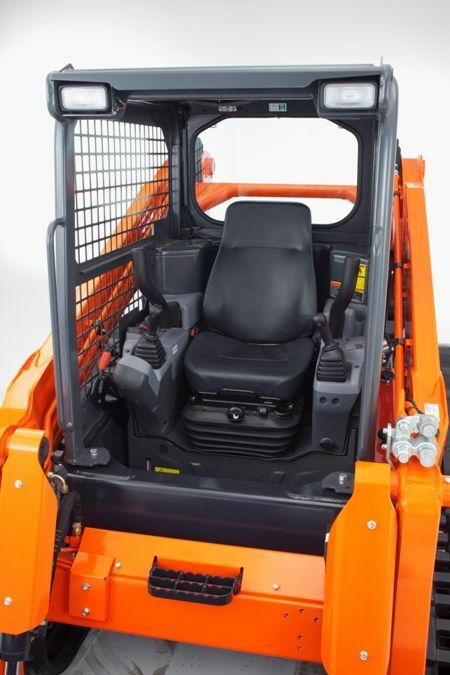 Hand & Foot Throttle - With a hand and foot throtle, you can easily adjust engine speed for travelling while maintaining an engine speed for loader work. 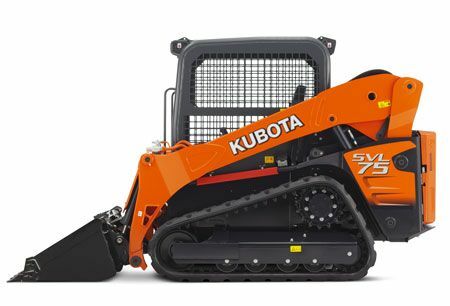 The Kubota SVL75-2 Self Leveling Loader Skid Steer is available at Kooy Brothers Equipment Ltd. located at 1919 Wilson Avenue in Toronto Ontario.